Welcome to the Lands & Lessons class page! 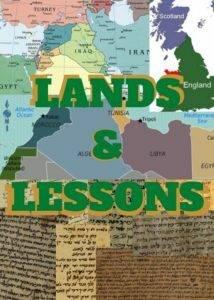 Lands and Lessons is geared towards understanding Jewish History through the macro-lens of specific countries. What world events affected the Jews of that place? What Jewish figures through history affected the country? Join us at 7:00 on Mondays at the JCC to learn more!